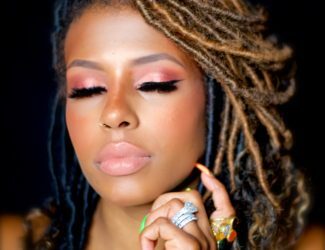 I love switching up my skincare routine every once in a while and when I find great products, I MUST SHARE! A few years ago, I bought a small jar of pear-scented Josie Maran body lotion and quickly became addicted! It is my go-to lotion for my body and I literally have 4 jars in my bathroom, at all times! I even started buying the small jars for my daughters- it is that good. I love this product because it is made with 100% whipped argan oil. It is smooth and creamy, but lightweight, absorbs beautifully and it is super hydrating. Not to mention her scents are true to their description; the lotion smells DELICIOUS! Recently I decided to switch up my skincare routine and I bought a trio of Josie Maran products and I am in love! I am not quite sure why it took me all these years to try her skincare line! 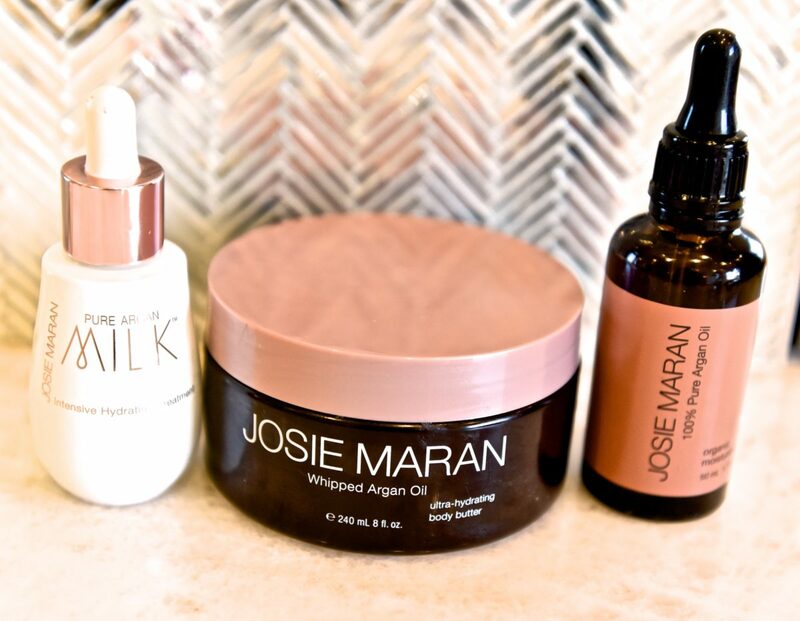 Let me give you all the deets about my new, favorite, Josie Maran skincare products! 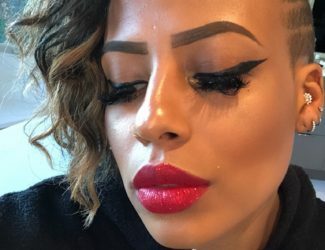 I think this is my favorite out of all of her products! This all-natural oil is used to deeply hydrate and plump the skin. It literally looks like milk, is lightweight and melts into my skin! After I have cleaned my face and used toner, I start with the hydrating milk as my base. The oil is an all-natural, 100% argan oil. I know some of you are thinking that you already have oily skin and do not need to add more oil, but this argan oil actually helps combat oily skin! It is a great primer for makeup, super lightweight and feels so good on my skin! After the hydrating milk, I layer this on top! This ultra-hydrating butter works exactly like her body lotion! It soaks into the skin and is the perfect topping to the hydration party! It is creamy, firming and really makes your skin look and feel fresh! The face butter is the last step of my daily skincare routine! After I use the three products, my face looks like it does after a facial! Fresh, plump, smooth and ready for makeup application! You can purchase any Josie Maran products here or at your local Sephora! Potty-Training a Little Boy; I’m SO Over It!